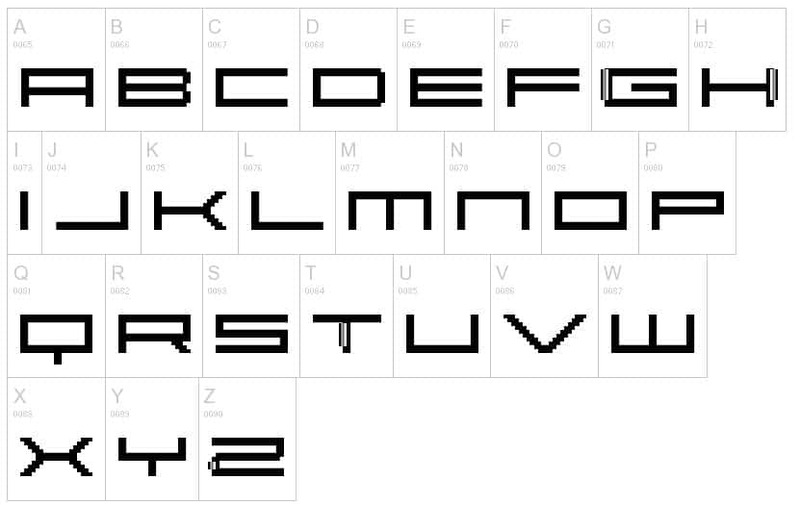 Looking for bitmap fonts with pixel-perfect designs? Then you’re in the right place. These bitmap fonts are composed or lots of pixels, positioned on a grid layout. This article contains 20 stunning examples of 8-bit typography with remarkable designs. These pixel fonts will look amazing on various projects, whether they are websites, mobile applications, or prints. These bitmap fonts can be downloaded for free, however, please check the license for each typeface individually, especially if you are planning to use it for commercial purposes. Want more unique fonts? Check out these free brush fonts, symbol fonts, and blackletter fonts. This is an amazing bitmap font that you can download and use for free in various digital or printed projects. Please verify the license in order to use it as the designer intended. Savior was designed by Aaron D. Chand. This bitmap typeface has a simple but beautiful design that can be used perfectly for various websites and mobile applications. Here you have a lovely 8-bit font which was carefully designed by Joiro Hatgaya. This typeface has a strong design. Fan of Minecraft? This is an excellent font that was created by Craftron Gaming. This is a unique 3d typeface that was created by Aaron D. Chand. This typeface has a special design with amazing shadows that give it a 3D appearance. 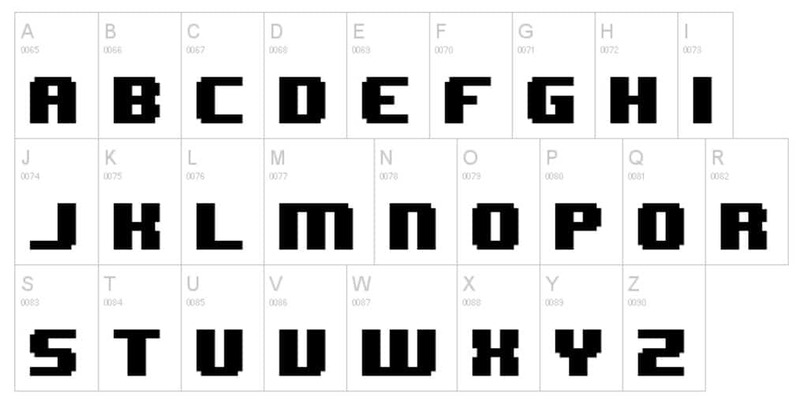 Here is a Minecraft-inspired typeface that was designed by Andrew Tyler. Check the license of this font and use it in your digital or printed projects. Colorful Typhoon created this one-of-a-kind typeface with its special design. Download and use it in your current or upcoming projects. 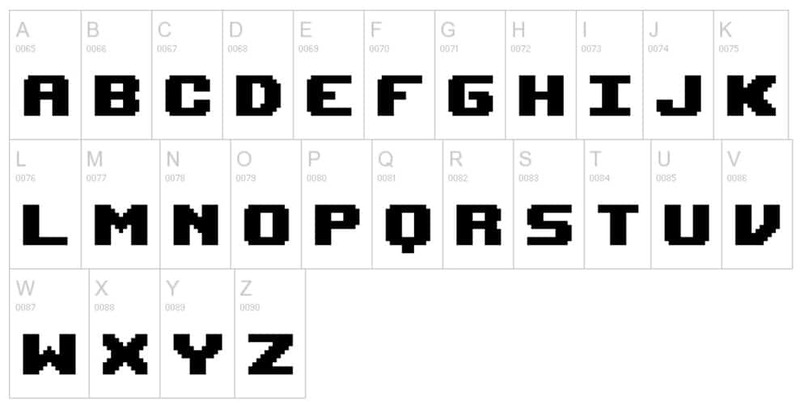 Here you have a stunning 8-bit typeface that was created by Space Bake. This freebie has a strong design that will look outstanding in various projects. This is a wonderful pixel font with shadows that gives it the impression of a 3d layout. Here is a lovely bitmap typeface that was created by Zeh Fernando. 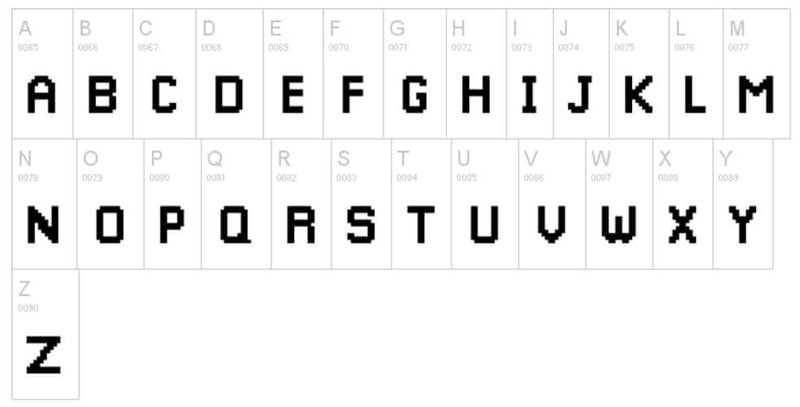 Here is an amazing pixel font that was created by Style-7. This typeface has a unique dotted style design. Ænigma created this lovely typeface that you can download and use for personal purposes. Should you want to use it for commercial purposes, please read the license file. 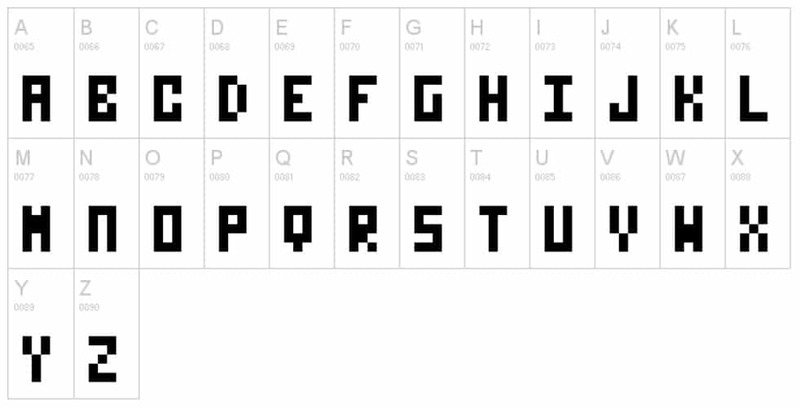 Pixellari is an amazing bitmap typeface that was created by Zacchary Dempsey-Plante. Download and use this font in your projects. This is a beautiful 8-bit typeface with a simple and clean design. This font will look perfectly in both printed and digital projects. This is a great typeface which was created by Deliiyaa. This font has a special created with a clean and slightly tilted design. Have a look and see if it fits your style. This typeface has a lovely bitmap design and it was created by Fonts For Flash. This is the same typeface as the one from the game, also the same designer created the both, Nathan P. Use it in your projects to make them stand out. Fan of Mario Kart DS? Well, who isn’t! Download and use this typeface in various projects to bring back some pleasant memories from the past. 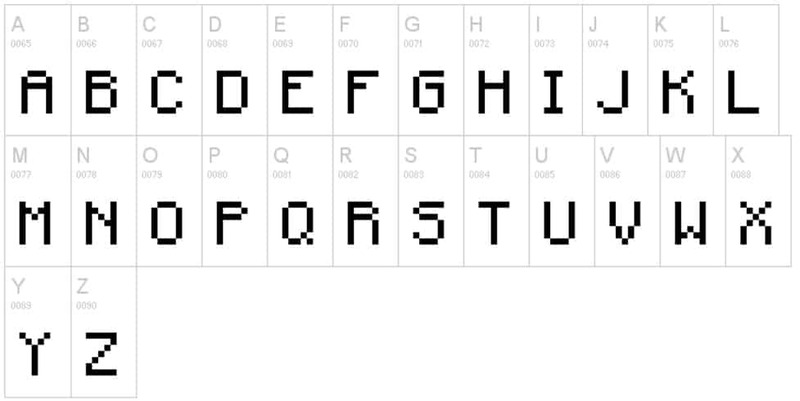 Here you have an excellent pixel typeface that was created by BitmapMania. Read the license file before downloading.